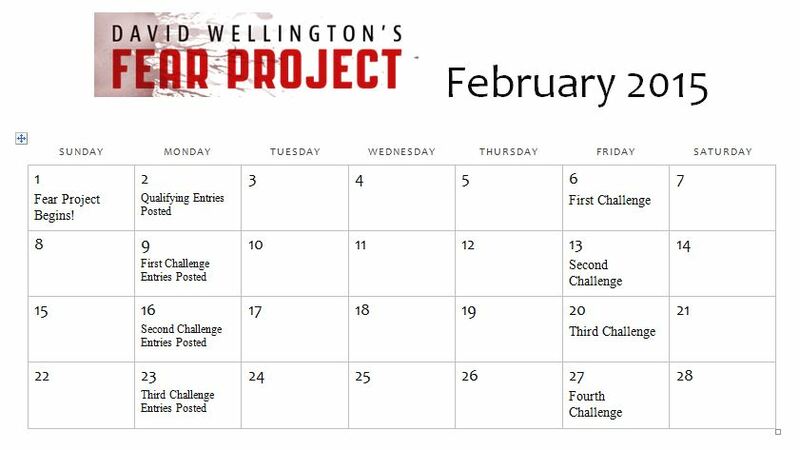 Here’s a calendar to keep track of when the challenges begin and when they’ll be posted. You can comment on the week’s entries Monday through Thursday. Each Friday, when the new challenge is announced, an author will be eliminated as well. Click on the calendar to enlarge.